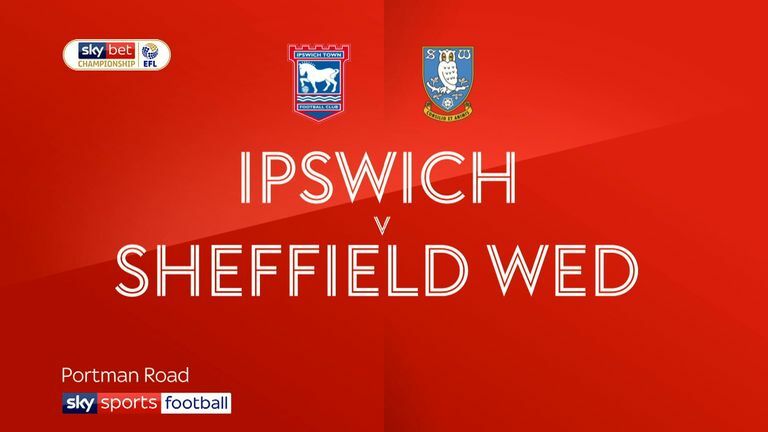 Lucas Joao struck late on as Steve Bruce's reign in charge of Sheffield Wednesday started with a hard-fought 1-0 win over bottom-placed Ipswich at Portman Road. The striker scored in the 90th minute to ensure the Owls collected all three points in a scrappy and disjointed Sky Bet Championship encounter. Wednesday missed a host of chances throughout the game and were forced to wait until the closing stages for second-half substitute Joao to fire home from Adam Reach's cross. Ipswich applied some late pressure but the defeat leaves them bottom of the Championship, eight points adrift of safety. Following a scrappy start to the game, Ipswich forced the first corner of the match in the ninth minute and Matthew Pennington headed wide from Alan Judge's deep cross after the initial kick was cleared. Fernando Forestieri - making his first start for the Owls since November - then fired over from distance for Wednesday after Reach's knock-down. 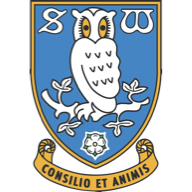 Michael Hector's raking pass found Steven Fletcher but the Wednesday striker's shot was well saved by Bartosz Bialkowski and Barry Bannan's follow-up was blocked by Toto Nsiala. Just after the half-hour mark, Teddy Bishop found Freddie Sears on the right but the Ipswich striker's well-struck shot was wide of Keiren Westwood's goal. The Owls missed a golden chance to take the lead in the 38th minute when Morgan Fox's mis-hit shot from the left found Reach, who could only scoop the ball over the bar from close range. Wednesday were beginning to apply some pressure and a minute later Forestieri headed over from Liam Palmer's right-wing cross. 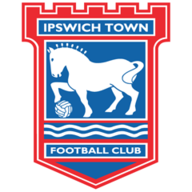 Bishop flicked a header wide for Ipswich from Judge's free-kick before Bialkowski beat away a fierce strike from Forestieri three minutes before half-time. Wednesday started the second half brightly and a deft touch from Fletcher released Forestieri, but the Italian's attempted chip drifted wide. Sam Hutchinson was booked for the Owls in the 53rd minute after a challenge on Collin Quaner, which forced the Town striker off, and he was replaced by Will Keane. Wednesday wasted another excellent chance to open the scoring after a mix-up at the back for the Tractor Boys saw Nsiala let the ball run through to Forestieri - yet the striker fired over. Forestieri again got clear of the Ipswich back-line following a defence-splitting pass from Chelsea loanee Hector moments later but his shot was wide. Flynn Downes' fierce effort went wide for Town before Keane found home debutant Judge, whose curled effort was too high for the Blues. The home crowd were urging the Blues forward and another corner from Judge saw a good header from second-half substitute Trevoh Chalobah saved by Westwood in the 85th minute. But it was the Owls who won it in the final minute when Reach got past Myles Kenlock on the right and pulled the ball back for Joao to beat Bialkowski from close range. Paul Lambert: "Sheffield Wednesday were better than us in the first half, they should have been a couple of goals up but we rode the storm. Second half we regrouped and got a foothold in it but the goal's poor at that time of the game. "Second half was a lot better, we made things happen rather than waiting for things to happen." Steve Bruce: "When you miss so many chances - how many times have we seen it? You think it's going to be one of those days. In the end, I think we had five or six wonderful opportunities and didn't take them and that always puts you under a bit of pressure. "However, I thought we were comfortable in the game, the goalkeeper (Keiren Westwood) in the end made the save from the header - that was the only attempt they had on goal I think."